UltraBalls is a collection of 10 VJ Loops + 10 clean motion backgrouns featuring glowy duotone moving balls in an abstract world. All clips are Full HD (1920×1080) encoded in .mov (h.264). Created Duotone to change color easily with any Hue/Saturation effect in your VJ Software. Perfect to suit your stage compositions. 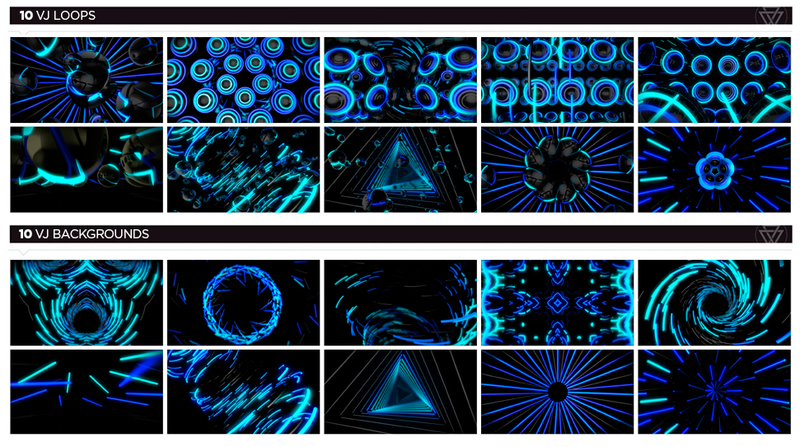 UltraBalls VJ Pack is a collection created for VJ´s, nightclubs, led screens, projections, concerts, stage decoration, video backgrounds and many more. We´ve tested it on the big screens and believe us…. This pack is a real Eyepopper! !